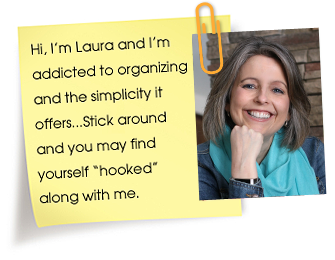 Please welcome guest contributor Lani from This Is How We Home to the blog today. 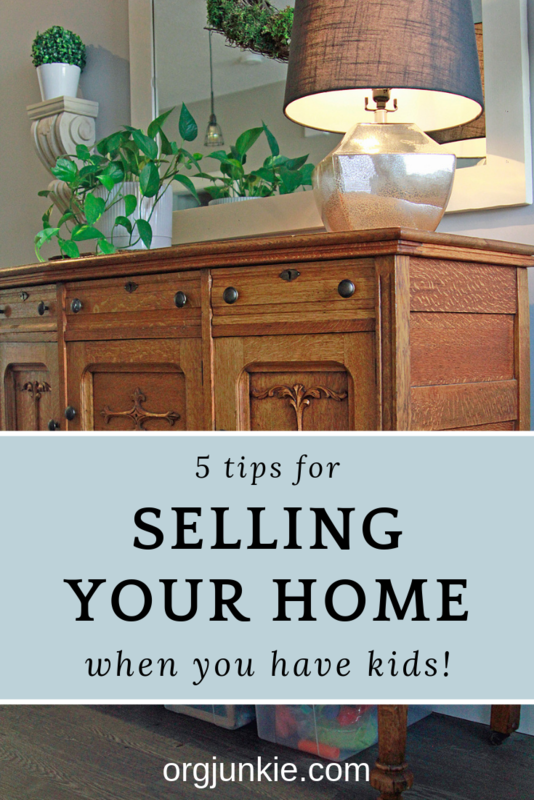 Lani is sharing tips on how to create a pretty and functional space, with kids, when selling your home. We have been trying to sell our home for over a year, and with a 9-month-old and 2.5-year-old, that has made for some challenges. The need to be resourceful with our space has forced me to create simple, pretty, and clean ways to store “all the things”. 1. Eliminate clutter and personal decor: leave out only enough of the basics that are needed for the kids and what will visually make you happy. A year ago, when we first listed the house, I simplified our decor – put away many personal photos and anything that seemed like an extra. Since there are some kids items that just have to be around for a season,I have found that simplifying everything else has really helped in the meantime. 2. 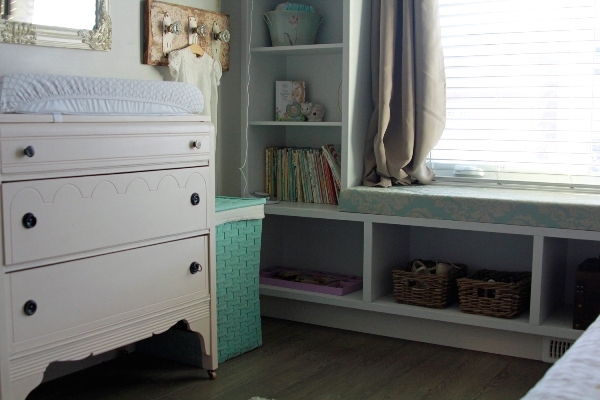 Combine pretty and functional: use containers or baskets to hold toys and crafts that can be left out when a potential buyer comes. 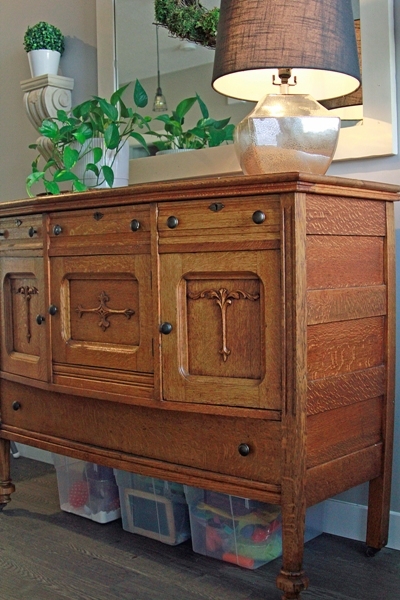 Several of our main furniture pieces also provide some sort of storage and are also pretty to look (in my opinion). 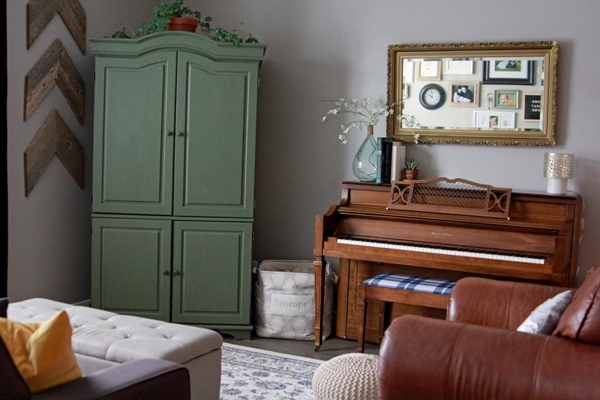 In our living room, the TV cabinet can be closed which keeps the TV, books and toys hidden. Our grey ottoman is a coffee table and toy chest, and we have one other toy basket that stays out for showings. This has helped my desire to have things visually appealing, but also solves a practical issue! There are a few items in the main area such as my daughter’s dollhouse and drawing table that stay out all the time, because they are actually really cute. Having everyday items that are visually satisfying, as well as useful, takes the load off when getting ready for showings. 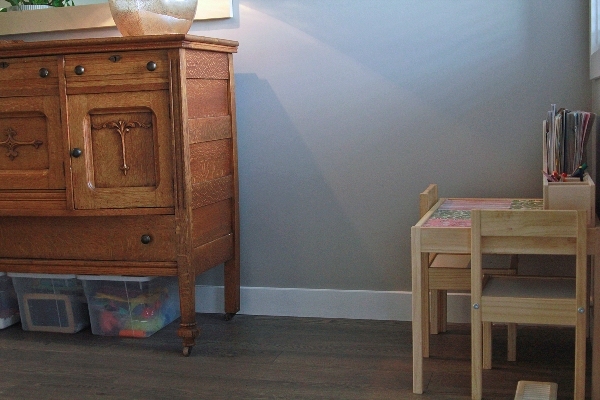 We also hide a few everyday toys/craft items under our dining hutch, that my toddler can pull out at any time. When we have a showing, I take those downstairs. It’s easy enough to tote them away, and they still feel sort of hidden on a daily basis. 3. Think of your first impression and utilize storage space: move larger toys and colorful items to the storage room during a showing. 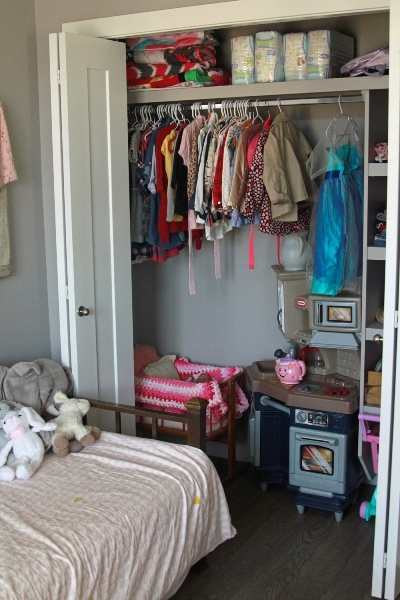 There are a few larger items that just don’t fit in a toy chest or bin and those get carted to a storage room, or put downstairs for all showings. Our priority is always to keep the main floor as clutter and toy free when we have a potential buyer come, to help give the best first impression! 4. Work with what you’ve got: don’t buy to solve a temporary problem, but get creative. 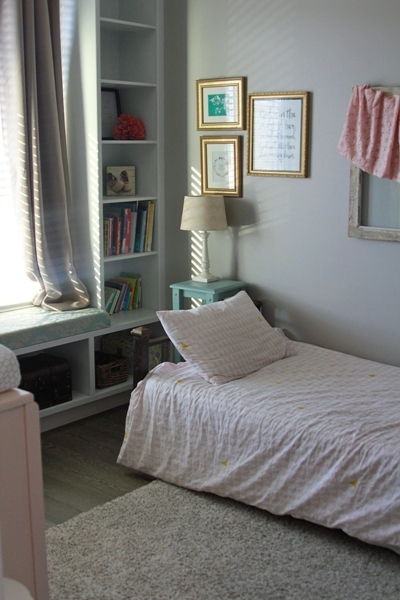 I don’t know how many times I have said, “I’ll buy that when we move into our new house!” From baskets to bed sheets, I have literally held off on buying too many things that would only work for this space. My husband and I both love home design and know that we want to put more personal touch on our next space, so there’s no sense buying a bunch of stuff “just for now”. It forces you to think temporary and long term at the same time. Do you need to store some pencils and coloring books? Perhaps you can make something or take a look in storage for a handy basket, cups, or bowls that will work just as well. I keep telling myself the wait for new things will be worth it. 5. Purge or rotate often: go through what you don’t use often, and donate or sell to purchase stuff you actually need. I go through our daughters’ clothes seasonally and am starting to purge their toys often as well. We donate anything that doesn’t bring us joy. I am reading a book called Simplicity Parenting by Kim John Payne (affiliate link) and she talks about how visual clutter and “too many things” actually distract children from imaginative play and playing with what they’ve already got. Sometimes I will move books around or put baby dolls in another place where our daughter doesn’t normally find them. This way it feels new again. I once heard something along the lines of, “Boundaries don’t limit us, they force us to be creative!” Isn’t that true? So, even though we are in a waiting season, it has pushed us to be thankful and resourceful. As the kids are growing up, look at the chaos as an opportunity to get creative. Make it work for you in whatever season you are in!